Kevin Miller takes home MVP honors at the 5th Grade/11U level for his efforts in leading the IL Rising Stars to a title. Donovan Billings dominated the field with his size and skill inside, helping WI United to a championship victory and thus earned the 6th Grade/12U MVP honor from the Championships. For the 7th Grade/13U, Deontay Long of the Milwaukee Spartans was named MVP after an outstanding weekend. Last but not least, in the 8th Grade/14U, Team Ramey came out on top as the champions, as they were led by guards Courtney Ramey and Fred Thatch who receive Co-MVP honors. Miller had an overall excellent weekend for the Rising Stars and really played above and beyond for his team. The small, but lightning quick Class of 2021 guard was all over the floor for his team and was highly productive on offense. Using his good ball-handling and quick feet, Miller was able to get by defenders and make a lot of shots during the course of the team’s four games. He scored 15 points twice, including the Championship game which really helped pace his team and give them the advantage that kept them on top. The 4-9 guard also did an excellent job passing the ball. On the weekend he averaged 12.5 points, 2.5 rebounds and 2.5 assists per game, while making 8 free throws and shooting 56% from the field overall. Miller was also 4-of-7 from the three-point line. In the 6th Grade, Billings taking home MVP hardware was a no-brainer as he was perhaps the most dominant player of anyone in the tournament by respective grade level. The 6-2 center for WI United was a monster on the boards all weekend consistently in double-figures and a majority of those were on the offensive end, meaning he was giving himself and his team second and third opportunities to score quite often. 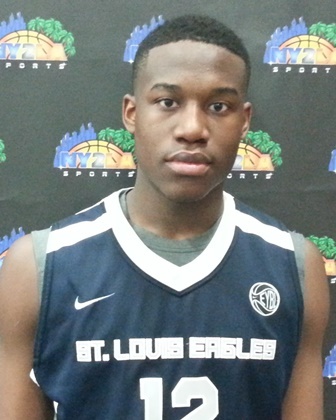 He pulled 44 offensive rebounds in the tournament and 74 overall. Skill-wise, Billings is still developing his overall set, but he uses his body and his athleticism really well to power through contact and finish shots with good touch around the rim. He also was exceptional pressuring on defense, helping to cause turnovers and then ran the floor in transition where he got some easy buckets in the open court. His 31-point, 26-rebound game in the championship was incredible. Billings averaged 19.8 points, an astounding 18.5 rebounds, 1.75 assists and steals while shooting 52% from the field overall. Deontay Long was practically a lock for the MVP of the Championships as he competed the same way he had been playing throughout the entire league. At 6-3, Long has a nice skill set offensively that allows him to work from different points on the floor and take advantage of match-ups, which he did often in Mequon this past weekend. The skilled forward made some really nice shots from various spots, drove the baseline impressively and scored with great body control, knocked in some tougher shots and hooks to the rim while putting together some big-time performances, including dropping 28 points in the Championship to help the Spartans edge KC PowerGroup for the title. Long also is aggressive on the glass and helped himself get some extra points off put-backs. He worked hard on both ends of the floor and put his body on the line constantly, averaging an impressive 20.8 points and 10.75 rebounds per game. He made 22 free throws on the weekend and shot it 53% overall from the field, including going 12-of-14 in the Championship game. Fred Thatch, a built 6-2 guard/wing was consistently tough each game of the weekend and played with his strength and burst to make plays for his team. Thatch attacked from the perimeter, slicing through defenders, soaring past them and worked hard to get shots up going to the basket which also helped him get to the free throw line a lot. Thatch knocked down 28 free ones, including 9 in the title game which helped Ramey pull back in for the win. With his frame, he also does a nice job rebounding inside. He averaged 17 points, 6.25 rebounds, 1.75 assists, and 1.25 steals per game, while also hitting a solid 54% of his shot attempts and 76% of his free throws. Finally, Courtney Ramey had himself a great tournament as well. Though, the title game did not go as he hoped from an individual standpoint, he did what he could to help his team win and his performances to lead them to the championship game were sensational. 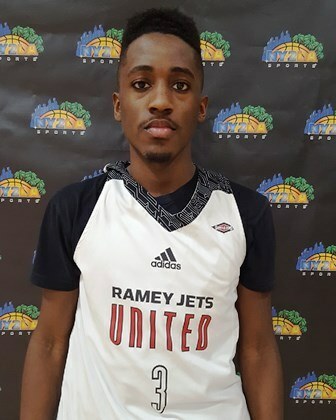 Ramey put on the single-best scoring performance of the tournament, if not the league with his play on Saturday evening against a fiery Mac Irvin team in which he sank 5 three’s and a plethora of other shots to tally 38 points including some clutch shots in regulation and overtime. Ramey also did a nice job grabbing some boards, sharing the ball with teammates and using his quickness and length defensively to force turnovers. The 6-0 PG who is widely considered one of the top players in the nation averaged 20.8 points, 4.5 rebounds, 2.5 assists and 3.25 steals per game in the GNBA Championships, while shooting 73% from the line, 43% from three-point range and 52% from the field overall.